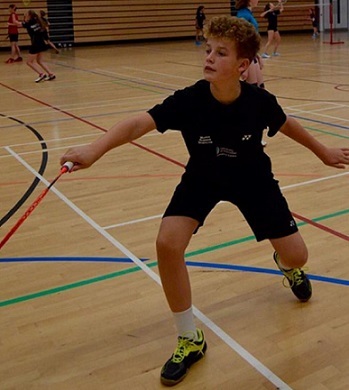 Joel Howells, a young county badminton player won both the under-15 singles and doubles competitions at the Badminton Wales Deeside Open tournament. Joel is supported by the Halo Sport Foundation in partnership with the GLL Sport Foundation. Joe Howells, aged 12, beat two higher-graded players from Cheshire in the semi-final and final to win the singles title and partnered 13-year-old Will Vaughan, of Powys, to victory in the doubles final. Joe, who trains at Herefordshire Badminton Academy, is a beneficiary of the Halo Leisure Sport Foundation Award Scheme that is again being launched this year. “Joe deserved his success for all the hard work he has put in over the last 12 months,” said Herefordshire Badminton Academy coach Les Butts. The Halo Leisure Sport Foundation Award Scheme is run in conjunction with the national GLL Sport Foundation and supported by Sports Aid. It gives ambitious sportsmen, women and children in the county crucial support for their future. “As a not for profit organisation and registered charity whose primary aim is to provide the local community with active leisure facilities, we are delighted to be able to offer support through the Sport Foundation for another year,” said partnership manager Alex Haines. “Many of the county’s most talented sports people struggle to meet the rising costs of competition. Applications are now open for the 2017/18 cycle and athletes can apply in here.